Engineered Hardwood Floors are Perfect for Fort Worth! Engineered hardwood flooring is constructed with layers, usually called plies, of wood that are fused together giving the floor single, extremely durable planks. The multi-ply structure is more resistant to temperature and moisture and can be use in above or below grade applications. For the advantages of multi-tiered moisture resistant engineered hardwood flooring that can be used above or below grade, Hardwood Floors Fort Worth is your place to discover this fascinating and multi-functional product line. Many are in stock and others can be delivered quickly. Talk to our knowledgeable team for straight answers about engineered hardwood or any other flooring option. Hardwood Floors Forth Worth is pleased to offer high quality engineered hardwood floors that are carefully manufactured with sustainability in mind. Many of today’s residential and commercial consumers do not fully understand the advantages of engineered hardwood floors. To gain a better understanding about engineered hardwood flooring and about the environmental advantages, please stop by our showroom and allow our Customer Care team to show you all our carefully selected flooring solutions. Engineered wood floors first came to market in the 1960’s. The original manufacturing process bears little resemblance to the high tech approach used today. Engineered hardwood floors are comprised of between three and ten layers, called plies, of genuine hardwood that are forged together to provide extremely durable, moisture-resistant hardwood sheets that not only resist moisture but can exist in areas where there are wide temperature variations. 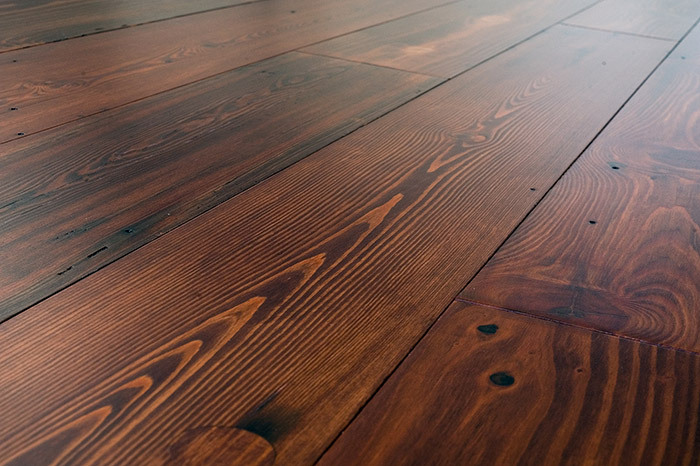 It is the ability of engineered wood floors to withstand the test of time, moisture and temperature variations that has spurred demand for these products. The fact that they are easy to install and appealing to do-it-yourselfers as well as to homeowners and business owners who wish to have wood floors in below grade areas and moisture-prone rooms has contributed to the demand. Other advantages of engineered hardwood floors include shrink resistance and warping protection while preventing expansion. The multi-ply construction offers uncommon stability during the life of the floor and with impressive arrays of wood finishes, our hardwood floors clients are assured of a durable, low maintenance and affordable experience. Whether you are considering a do-it-yourself project or would like our proven engineered hard floor installation team to install your floor, your first move should be to contact our Customer Care professionals to arrange a meeting and receive a quote for goods and services in the Dallas – Fort Worth area. Whether it is a vintage hardwood floor look or a practical use, engineered hardwood flooring offered by Hardwood Floors Fort Worth is a wonderful investment. The fact that these floors can be installed directly over concrete sub-flooring and in basements give you an unexpectedly attractive flooring solution. We always recommend factory engineered finishes for engineered hardwood floors. Our clients only need to visit our showroom and choose the exact colors and hardwood types before placing their order and making their living space more attractive than ever! Engineered hardwood floors are made from real hardwood, usually selected by the client. The beauty of engineered hardwood floors is that the lower plies are built from faster growing, renewable wood. Because the layers are glued together with adhesive systems that surpass the most stringent air quality tests, many homeowners and business owners prefer this flooring choice. Our engineered hardwood floors are harder, greener and denser than most of our natural solid hardwood floors. Cross-grain configurations used by many engineered hardwood floor manufacturers serve to further minimize the possibility of shrinking and expanding. When flexibility, affordability and moisture resistance is required, we believe engineered hardwood floors may be the perfect fit.